Over the next two weeks, Dance Source Houston’s third annual Barnstorm Dance Fest will present three separate programs featuring works by 23 artists and companies, five of whom are DSH’s 2017 artists in residence. 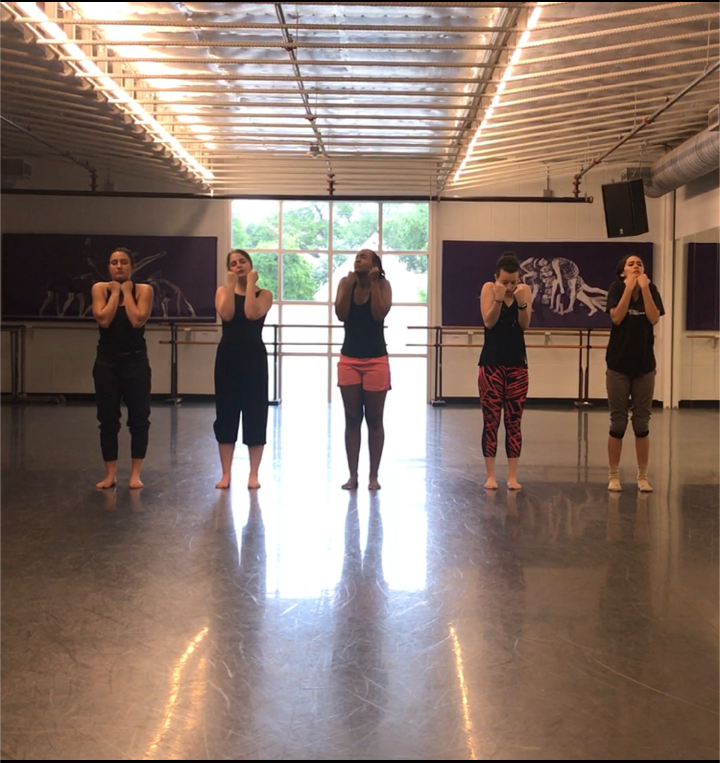 Learn more about them here before seeing their performances on June 16 and 23 at the Midtown Arts & Theater Center Houston. Houston native Felicia Thomas is a storyteller both on and off paper. Her passion for dance, which began at the age of nine, eventually grew into a career at Sam Houston State University, but she continued pursuing her love for writing as well, minoring in English. After graduating in 2009, Thomas worked with two local modern troupes, Second Generation Dance Company and Urban Souls Dance Company. She also performed in a play that exposed her to the vast genre of cultural dance, but still, she felt that something was lacking. “I wanted to find spaces or avenues where I could tell stories,” Thomas said, and having participated in last year’s festival, she returns to Barnstorm with another tale to be told. Heather vonReichbauer remembers making dances before she was even old enough to know what choreography truly meant. “I was never really interested in performing,” she said. “I was more interested in the creating part of it and putting my ideas and thoughts onstage.” Originally from South Carolina, the artist moved to Houston five years ago to serve on the dance faculty at Rice University. Last July, she set out to fulfill a lifelong dream of starting her own project-based dance company, Bones and Memory Dance. Shortly after establishing her troupe, she premiered a segment of a new work titled “Dark Waters” in the Houston Fringe Festival. Now complete, the piece features five vignettes that portray the dark tales found in four Appalachian murder ballads, which are sung by vonReichbauer’s husband, a strolling balladeer choreographed into the work. “For me, the imagery is very vivid,” she said. “There’s a lot of lost love, revenge, and murder obviously.” Throughout the piece, red rose petals gradually fill the stage – drops of blood or simply an element of nature finding movement in that of the five dancers. After graduating from Southern Methodist University, Jennifer Mabus moved to New York, “as every dancer’s dream,” she said. After dipping her toes into the musical theater scene, she became a founding member of Robert Battle’s now-disbanded contemporary troupe Battleworks, and also worked with choreographers like Takehiro Ueyama and Heidi Latsky. With a desire to live closer to family, she returned to her hometown of Dallas a little over eight years later and eventually earned a master’s degree from Sam Houston State University. “A lot of my early choreographic training was really as a dancer, working for some people that I think are absolutely masters of the craft,” she said. Still, Mabus credits her experience in graduate school for giving her the courage to truly promote herself as a choreographer. Her latest work, “How will I recognize my own home?” delves into a prevalent social issue – the refugee crisis. Heartbroken by Magnus Wennman’s photo series about refugee children, Mabus felt pulled to study how dance can create empathy and shed light on a common humanity. 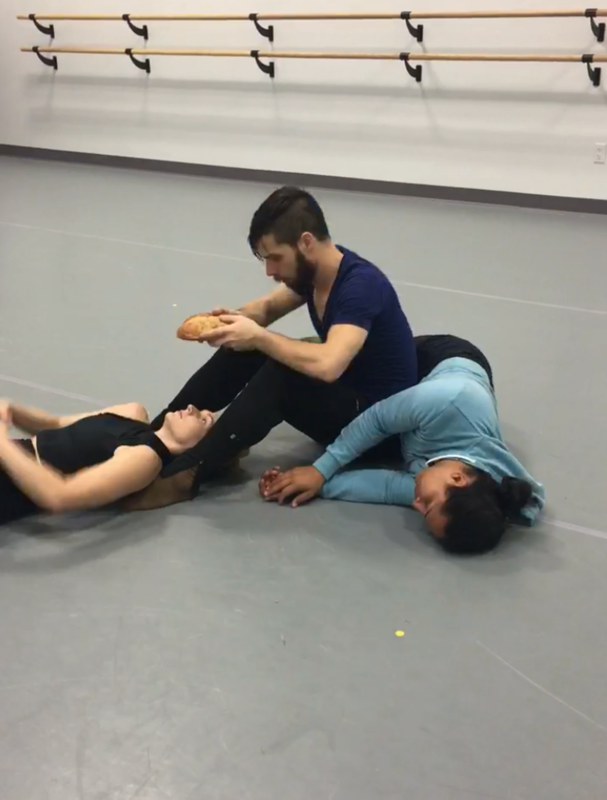 Featuring six female dancers, the piece examines the meaning of home and community. “How do you rebuild after the unthinkable, after a tragedy?” she asked. 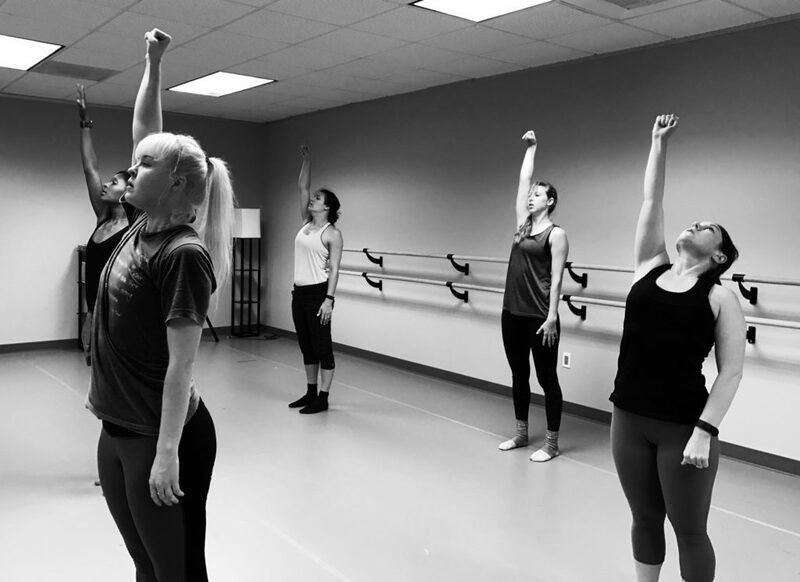 Laura Harrell has danced since she was three years old, but it wasn’t until she returned to Sam Houston State University for her master’s degree that she fell in love with choreography. 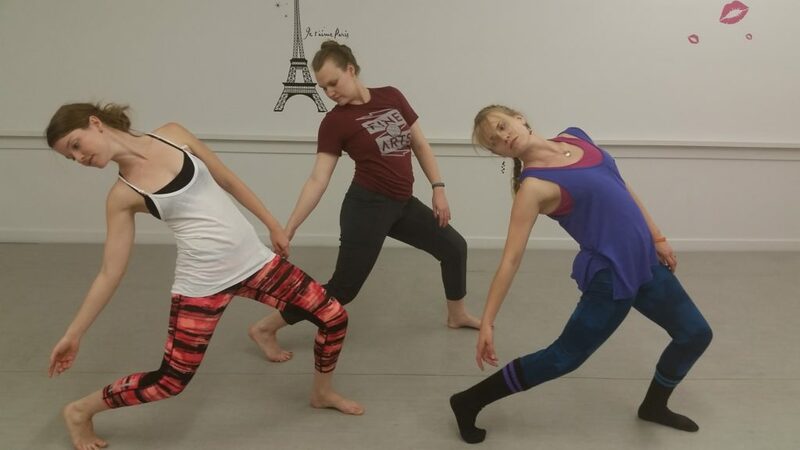 Since graduating in 2013, Harrell has been teaching, collaborating with NobleMotion Dance, and working as the studio manager at Hunter Dance Center and the company manager for Open Dance Project. Most recently, she was awarded a Houston Arts Alliance Individual Artist Grant that will enable her to complete another upcoming project. Born and raised in Houston, Ty’Esha Lewis first started dancing when she joined drill team at North Shore Senior High School. Her passion for movement grew into a career at Sam Houston State University, where she graduated with a degree in dance in December 2015. 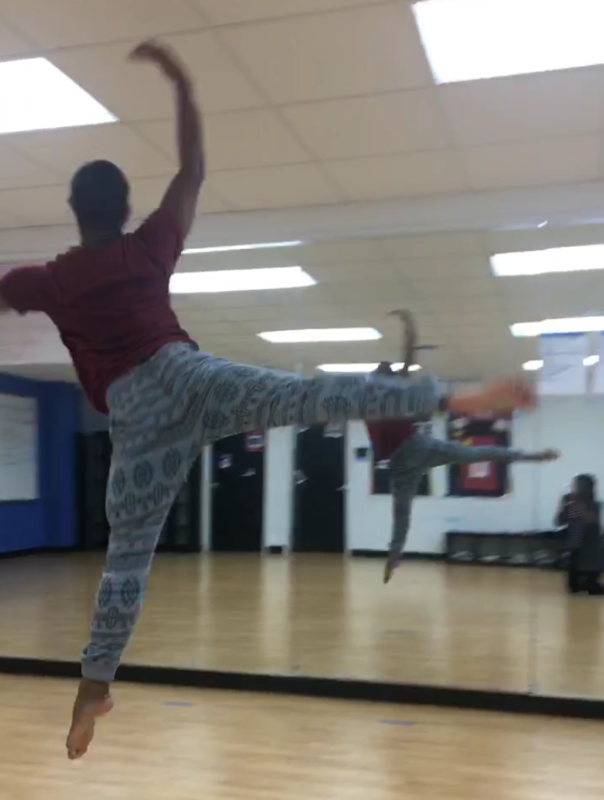 Since, she has choreographed spring shows for different high schools and worked as the assistant director for Westside High School’s Inertia Dance Company. Fittingly, the title of her newest work is “The 23 Experience,” and in it, four female dancers ultimately break free from the stifling state of vulnerability to become confident and carefree. To do so herself, Lewis deleted social media from her phone. Yet her process faced a new challenge this time around – choreographing while recovering from a torn Achilles tendon. To learn more about the festival and to purchase tickets, visit matchouston.org. Tickets are $20 for a single program, $35 for any two programs, and $50 for all three programs.